Registry Editor is one of the most important parts of the Windows operating system. This tool is usually used for resolving various problems and faults within the system, but what if the Regedit itself is the problem. Although this is a rare case, there’s a chance that you may encounter some problems with this tool. More precisely, we’re talking about the problem which prevents users from opening the Registry Editor. Having the Registry Editor out of the function is something that can be very dangerous because you’re not able to control what happens within your system. So, if you’re unable to open the regedit, keep reading this article, because we’ve prepared a couple of solutions that may come in handy. Although there’s no more universal and cliche solution for dealing with Windows 10 problems, and you’re probably tired of people recommending the SFC scan, it’s actually helpful in this case. So, the first thing you should do when dealing with the Registry Editor issues is to run the SFC scan. Press Windows Key + X to open Power User Menu. Select Command Prompt (Admin) from the list. When Command Prompt opens, type sfc /scannow and press Enter. Wait until the scan is completed. If everything is okay with the Regedit now, you’re good to go. On the other hand, if the problem is still there, you should move to move advanced solutions. In case your Registry Editor somehow got disabled, here’s a way to enable it again. 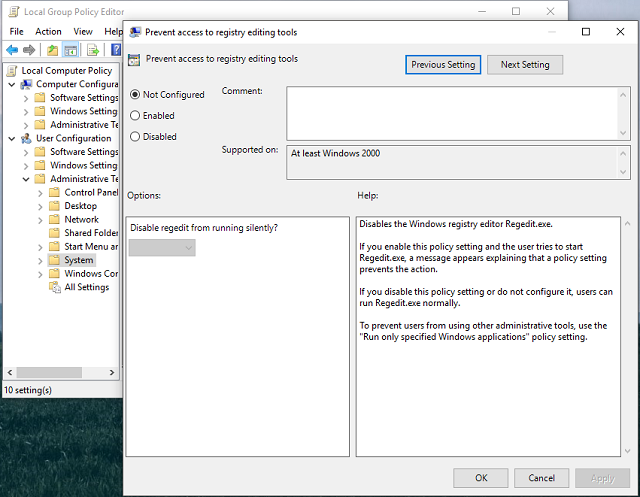 You’ll have to use the Group Policy Editor. But have in mind, the Group Policy Editor is only available in the Professional, Ultimate and Pro versions of Windows. 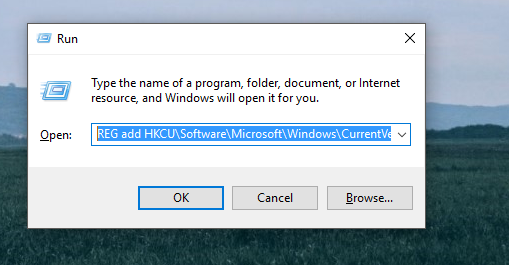 So, if you’re using Windows 10 Home, you won’t be able to perform this workaround. On the other hand, there’s a way to install it in Windows 10 Home. Now try to open the Regedit once again, and we hope you’ll be successful this time. Nothing says “I surrender!” more than clean-installing your system. But, if none of the previous solutions managed to solve the problem, you’ll have to go with this measure. After you reset your system, you’ll end up with a fresh copy, and therefore all your Regedit problems (and other problems) will be resolved. After the procedure is finished, your Registry Editor should work like before. If the problem is still persistent, you can also consider reinstalling the system. 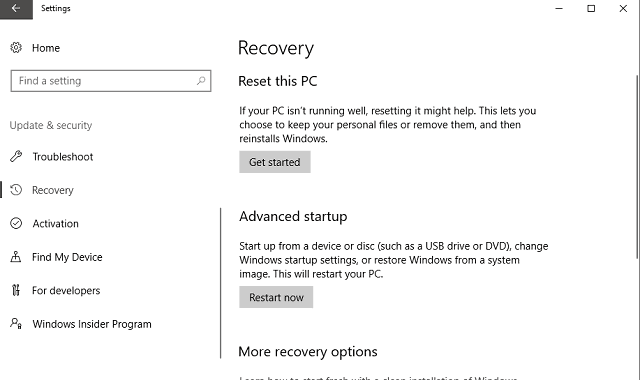 Even though the factory reset should be enough, you can always start from a complete scratch and reinstall the system. The procedure is simple and it can be done with the Media Creation Tool. You can find out how to do so by following the steps in this article. That’s about it, we hope at least one of these workarounds proved helpful in resolving the Registry Editor issues in Windows 10. If you have any comments, questions, or suggestions, please let us know in the comments below.